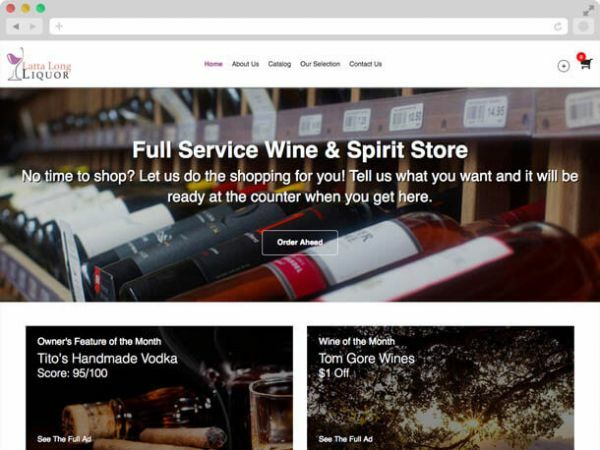 As a partner in Latta Long Liquor, we have been doing business with Vessel Digital Marketing for 3 years now. We have had a great experience. They are a flexible and very responsive, customer service focused organization. 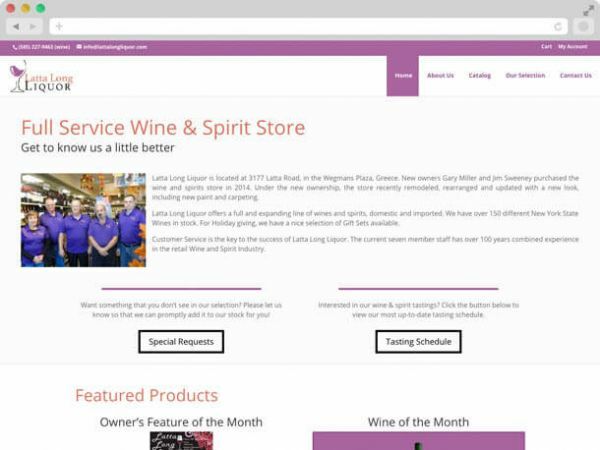 When we first met with Latta Long Liquor it had just switched owners, what better time to overhaul your website? We discussed where the new owners wanted to take the business and some aspirations they had. We love helping other small businesses and this one got us really excited - helping new owners breathe new life into this business. We worked with Gary to make sure the site not only looked awesome and reflected their vision for the store but also included a lot of custom areas to really bring their site to the next level. The result was a robust, streamlined, user-friendly website. They can now display and promote their monthly featured items, upcoming events, and let their customers easily have their order ready for pickup as soon as they get to the store.